The Lunatic Fringe's status has been noted during episodes of Raw. DISCLAIMER: These are the views of the writer and not of Sportskeeda. Since the new year began, there have been no shortage of WWE Superstars expressing their dismay with their spots in the WWE. From Rusev to The Revival and Maria Kanellis, several Superstars have displayed their frustration in the media or on social media platforms. While Hideo Itami and Tye Dillinger were successfully granted their releases, it was likely due to the fact that they didn't cause problems backstage or on Twitter. 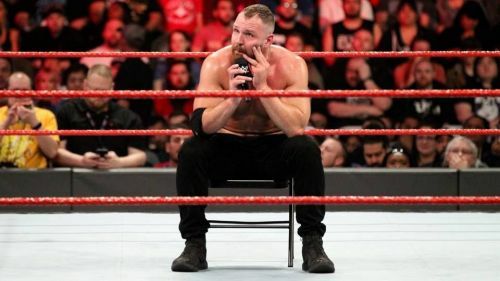 Dean Ambrose, Sasha Banks, and even Dana Brooke have expressed frustrations in one way or another, but for any Superstar who wishes to be released by the WWE, they should only follow Dean Ambrose's example. Now I know I don't have all the facts and I don't know every conversation that was had prior to and after Ambrose decided not to resign with the WWE, but I am going on history and how others have reacted on social media and other platforms. One of the biggest stories coming out after the Royal Rumble was the news that Ambrose rejected WWE's new deal and would be leaving at the end of April once his contract expired. He didn't go on Twitter or Instagram to vent frustrations or go on a tirade in interviews with news outlets. Instead, he went about his business, did what was asked of him and performed in matches he was booked in regardless of the outcome. He even took part in 'the final match(es) of The Shield ever' before WrestleMania. Although he was frustrated and upset, he didn't post cryptic messages or take backhanded shots at his colleagues. Superstars may or may not forget that we live in the 24-hour news cycle and that news and rumors are now available for the masses, whether true or not. If they don't want something to be found out or reported on, they shouldn't say things publicly that could be reported on or misconstrued. That's not to say that Banks, The Revival and Rusev have done everything wrong while expressing their frustrations, it's just that certain avenues taken go a lot farther than simply saying you take a jab on Twitter for the whole world to see. Ambrose, though not particularly active on social media anyways, could have easily gone on tirades and blasted the company. But he did not and instead, if it is 100% to be believed, will be leaving the WWE at the end of the month. He simply waited until he had the leverage (when his contract was coming up) to let the WWE know that he didn't exactly like how he was booked creatively. Had Sasha Banks and The Revival waited on things a little longer, they might not have been in the news. And while The Revival did get a tag team title run, was it because of merit or because they expressed displeasure to creative? Banks has every right to be mad that she dropped the titles but didn't she at least get to defend the titles this time? Both Banks and the Revival are right that they haven't been booked the best over the last year or so but they cannot always expect to be booked like world-beaters. Only the likes of Roman Reigns, Ronda Rousey, Brock Lesnar, and Charlotte Flair can. The bottom line is that yes, not everyone has things go they want in the WWE, but rolling with the punches might get you further than throwing them back. If both situations are works then they have been done masterfully, but this generation isn't known for accepting things that don't go their ways that well. It's why every prior generation says the current generations are softer.